In the last year, the popularity of foursquare, and location-based services in general, has grown significantly. 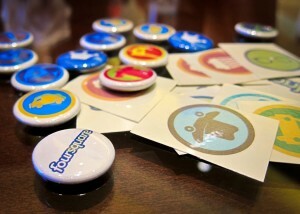 Last weekend foursquare hit another milestone by passing the three million-user mark. This is less than two months after they topped two million users. With the growing popularity among users, brands have been trying to figure how they can leverage foursquare as part of their marketing mix. Several brands have run programs on foursquare featuring branded custom badges, unique check-in tips, and custom landing pages featuring lists of to-do items. While user adoption of foursquare is growing at a staggering pace, many brands are taking a “wait and see” approach before adding foursquare to the marketing mix. Yesterday, Awareness launched the foursquare Social Marketing Toolkit, which is collection of five pieces designed to help enterprise marketers understand how to leverage foursquare as part of the marketing mix. It’s designed to help sophisticated and novice location-based marketers alike and contains some great sources of information. You can download the foursquare social marketing toolkit here. For me personally the most informative piece is “foursquare for the Enterprise”, a 45-minute webinar featuring Jason Keath. Jason weaves actionable advice with real case studies giving marketers an overview of how they can begin to use foursquare in their marketing efforts immediately. Below is a list of the other pieces included in the toolkit. All the salient points of a 45-page eBook boiled down into an easy-to-consume PowerPoint-like document. Included in the eBook are not only the Top 10 Ways Enterprise Marketers Can Leverage foursquare, but also the top 4 challenges of marketing with foursquare. foursquare is a social network focused on connecting users and allowing them to broadcast their locations using mobile devices including the iPhone, Blackberry phones, and Android phones. In this eBook we will discuss foursquare and how brands can leverage the network as part of their marketing mix. The report features data gathered over the course of the last two months and observational analysis of key brands running marketing programs through the channel. 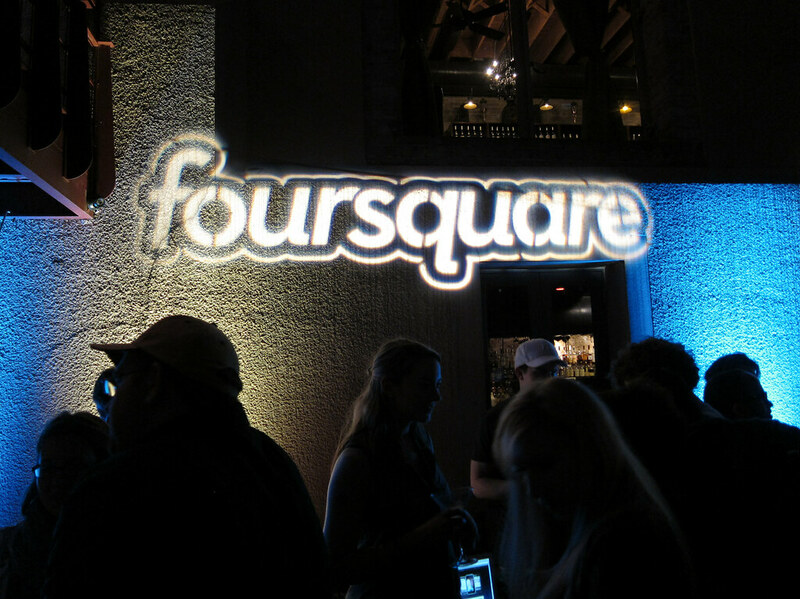 foursquare and several other location-based services (LBS) are the new pretty girl at the party. This webinar breaks down how your business can leverage foursquare and other LBS platforms, reveals emerging foursquare marketing best practices, and how these LBS technologies can improve your other marketing efforts. “Chapter 21: The Social Marketing Compass, Creating a Social Media Plan” — complimentary download of an entire chapter from Brian Solis’ Engage! Brian Solis, author of Engage!, defines the Social Marketing Compass as pointing, “…a brand in a physical and experiential direction to genuinely and effectively connect with customers, peers, and influencers, where they interact and seek guidance online.” He goes on to state, “At the center of the compass is the brand; essentially, everything you do will revolve around it.” He details how the players, platform, channels and emotions all tie together with an enterprise brand to provide you, the Enterprise Marketer, with a Social Marketing Compass to lead you through the new web to help build, cultivate and measure success for your business. A few weeks back our CTO Dave Carter released two eBooks on the State of Foursquare and the Top 10 Ways Enterprise Marketers can Leverage Foursquare. If you haven’t had a chance to view them yet, check them out, they are both great reads. During that same time Awareness released Foursquare Perspectives, a free tool that allows marketers to research announced new functionality that provide brands with valuable and useful insights about how Foursquare users are interacting with their physical locations. In addition, we announced that the Awareness Social Marketing Hub supports publishing tips to multiple Foursquare channels. The message is we believe Foursquare is an underutilized tool in the enterprise and when used correctly it can be a powerful part of an enterprise social media strategy. I have also been asked to put together a presentation that talks to the challenges and benefits of Foursquare which is below. The presentation kind of took on a life of it’s own and has grown into an extended graphical version of Dave’s eBook. It uses some of the information included in Dave’s eBooks but goes deeper into case studies and tools utilizing other resources and references. I’d love to hear from you with any feedback you have on the presentation. Hope you enjoy it.